I was not sure what to expect when I signed up with FT for personal training 4 months ago but I knew that the exercise training I had been doing on my own was not keeping up my fitness and strength. My goals were to gain back some of my lost lean muscle mass and lose 10 pounds. I admit that I nearly snapped like a twig during the first couple of sessions but I kept at it and soon became the guy who completed his sets/reps and had time for “dessert exercises”. The FT team kept me focused and accountable but the true measure is results. FT built up my muscles in places I did not know I had muscles and that really amped up my metabolism. * I smashed through my first goal of losing 10 pounds and I am closing in on my new goal of 20 pounds. * I feel as well and as strong as I have ever felt. Did I mention that I am 60 years old? I would highly recommend Fitness Together as an arrow in your health & fitness quiver for anyone serious about getting fit. A poster woman for how she loves Fitness Together! I was having a great deal of trouble getting motivated on my own to exercise. I just could not stick to an exercise program until I came to Fitness Together and now I just love to exercise! 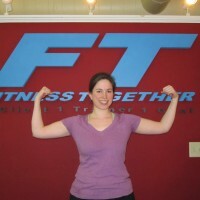 I love working out with a personal trainer here at Fitness Together. I have gotten much stronger and I feel so much better about myself!! 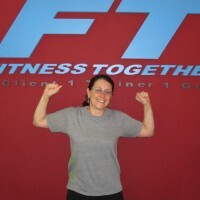 Thank you, Fitness Together! Hi… I’m Gail Learned, from Greenland and am 58 years old. Do you remember the last time you heard words like that from the one you love? “You look smokin’ hot in those jeans! Only eight weeks ago, I was playing in the yard with my grandson. But after 5 minutes, I had to sit and rest. I was exhausted, and just couldn’t keep up with him. Needless to say, I wasn’t happy about it. I was actually feeling old. But I’m only 58! Even though I still feel like 30 on the inside, my body was feeling otherwise. Signs like gaining weight, aches and pains, and flabby skin were now apparent. My jeans got tighter, and I hadn’t worn a sleeveless shirt or tank top in years. So after a couple of times, I just quit going. 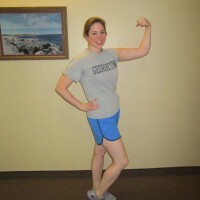 * Dianne is just getting started training with Fitness Together, but already she feels better about herself!! !